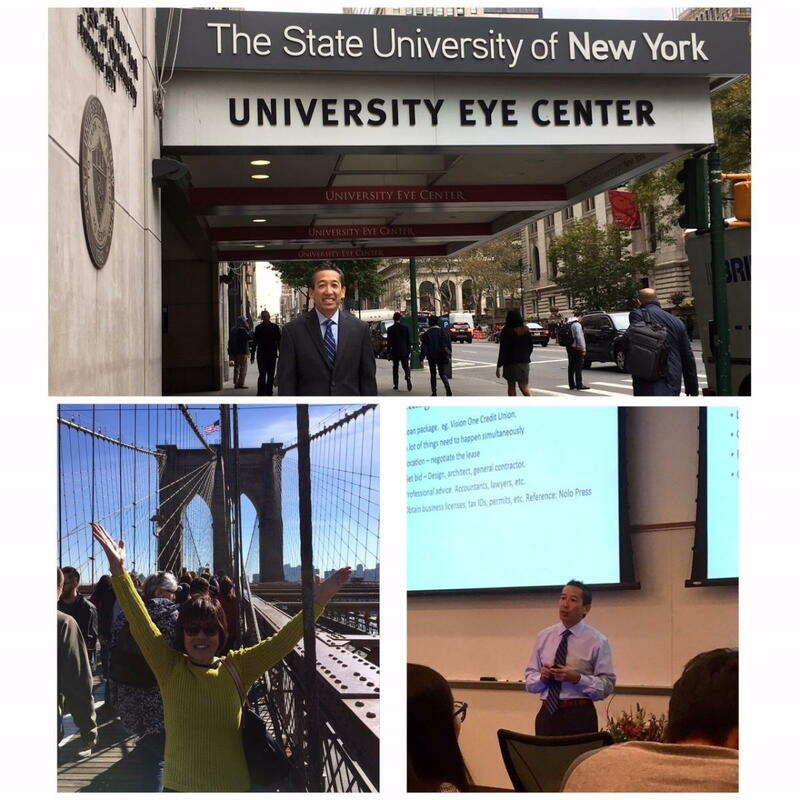 Dr. Kageyama presented a lecture to students at the State University of New York College of Optometry on his "Journey to Private Practice". He spoke about his academic and his professional career leading up to practicing Optometry in a private practice setting. Dr. Kageyama and Dr. Tamai thoroughly enjoyed sharing their experiences with the students at SUNY as well as visiting New York for their first time!